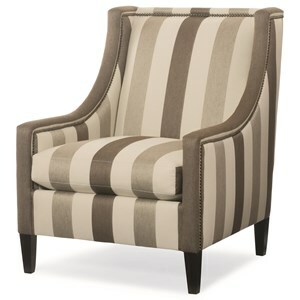 The Interiors - Skylar Upholstered Chair with Metal Frame by Bernhardt at Jacksonville Furniture Mart in the Jacksonville, Gainesville, Palm Coast, Fernandina Beach area. Product availability may vary. Contact us for the most current availability on this product.